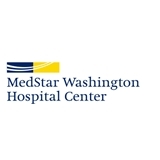 MedStar Washington Hosp Ctr-Dept of Otolaryngology (Washington) - Book Appointment Online! The nursing staff and doctor were kind and professional, and Dr. DeKlotz listened to my concerns, was careful when providing care, and then set expectations for follow-up. Happy with this provider, will definitely see again! I appreciated the fact that DR. Grant & her staff made me a priority visits even though my application entry online did not go thru into their system the night before when I originally filled it out. The were very fast & accommodating. Dr. Pai corrected my breathing issues, made my nose cosmetically better, and overall was able to empathize for my lifestyle and needs. Fantastic doctor and even better human being.